Artemis K. Tsitsika, MD, PhD is Assistant Professor in Pediatrics / Adolescent Medicine at the Athens University in Greece and Head of the Adolescent Health Unit (AHU) of the Second Department of Pediatrics, University of Athens. She has received the 2000 award of the Greek Society of Adolescent Medicine for her contribution to the development of Adolescent Health in Greece, and also 10 scientific awards. She is an active member of the European Board of the International Association for Adolescent Health (ΙΑΑΗ). She is a visiting professor in Western Michigan University and University of Kentucky in the United States. She is the scientific supervisor of intense courses on youth with special needs and the State of the Art Adolescent Medicine Course, which takes place yearly in Greece. She has been supervising scientifically the NGO's "For Adolescent Health -F.A.H. "www.youth-life.gr and Obrela www.obrela.gr, and she is also the Greek representitave to the ENACSO European NGO Alliance for Child Safety Online http://www.enacso.eu. 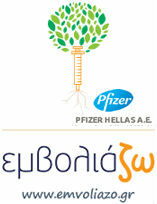 She is a member of the Directory Board of the Greek Sociaty Of Adolescent Medicine www.youthmed.gr. She is a member of the directory board of ENACSO.